With no job being exactly the same and ever changing demands by clients, you need a tool that can adapt to the situation. Be it new media formats, deliverables, audio handling and syncing or completely new workflows - together with SCRATCH you can rise to any challenge. 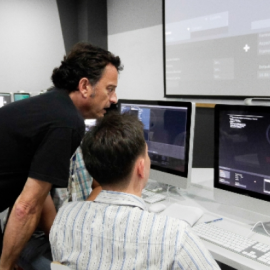 SCRATCH is the fully-featured dailies and archiving toolset used by professionals for color-grading / look-management, QC, metadata-management and audio-sync to provide the deliverables for all cinematic dailies. Its speed and flexibility are its strengths that have made SCRATCH the backbone for the cinematic dailies and VFX dailies pipeline for many individuals and facilities. • Easily switch between a Dailies, Basic Review or the full blown Finishing toolset at any time. • Support for all professional media formats; from camera RAW to traditional intermediates, to compressed and uncompressed finishing formats. 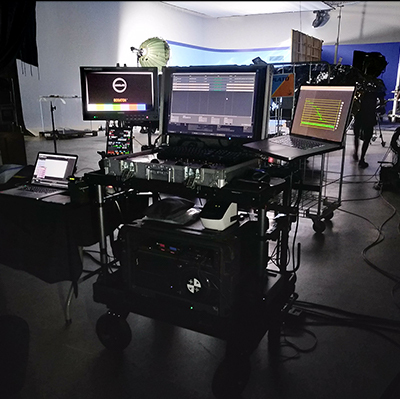 • Live SDI Capture from a camera directly to manage on-set looks or green-screen testing. • Fast and flexible transcoding to any format in multiple resolutions in one go, including grades and burn-in titling. 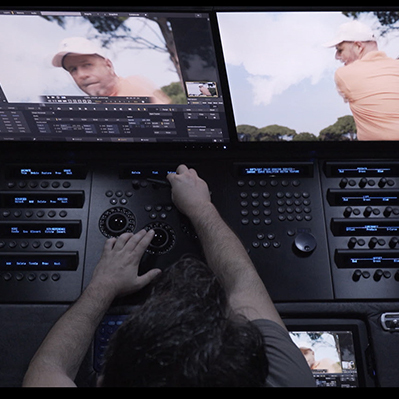 • Manage looks, import and export CDL or LUT and use the match-functions to ensure looks created on-set can be easily used further down the pipeline. • Quickly sync imported audio, based on the timecode/clapper/audio sync marker. • Capture, manage, modify, and append Metadata through the pipeline. Then provide fully customizable reports. Check out the Full Feature List of SCRATCH below. Never say no to a client. There is nothing more frustrating than having to tell a client every other shot that you need to send it to VFX because your tool only does grading. Its ultra-responsive interface together with its broad scope of grading and compositing features make SCRATCH the most efficient and flexible finishing tool around. Finish over 1000 shots a day. Manage a zillion versions of shots and timelines. Add or remove planes, trains and automobiles to a scene on the spot with your client sitting next to you. Now imagine this being a matter of just a few clicks. • Buy and learn one tool to use, from on-set throughout the post-pipeline. • Conform, Color, Vector Paint, FX Compositing and Finishing in realtime. • Combine a node-based and (video) layer architecture for unlimited creativity. 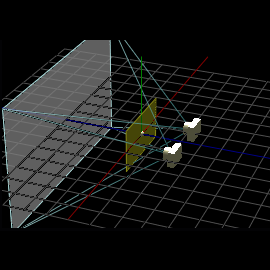 • From realtime Bicubic Image Warper to easy-to-operate stereo-3D workflow. • An open architecture: Out of the box integration with AE or Nuke, XML Scripting and Custom Commands to bridge to other specialized post-tools. • Manage all shot metadata; camera metadata, dailies references, user colored annotations, etc. • Create and manage an output tree with multiple resolutions, framerates, colorspaces, etc. • Create an output mastering tree using nodes to create versions of different resolutions, color spaces, framerates and even grades. 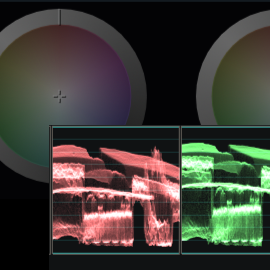 • Stereo Camera Scene setup per shot/scene; create single grading/comp layers in Z-space for both left/right eye. • SCRATCH online project repository to work with multiple artists simultaneously on a single project from places all over the globe. • SCRATCH remote: connect multiple SCRATCH systems from all around the world for a creative grading session. • Stream SCRATCH output directly to a media server for others to live view your creative work. • Publish to SCRATCH Web, Facebook, Vimeo or YouTube to share content online and in a secure manner for review and approval. • Support for many AAF/XML effects, like Pan&Scan, Timewarp, etc. • Flatten multi-layer timeline to single video track with video layers. Learn more about SCRATCH by watching one of the many available tutorials available here or visit our Vimeo page. * A site license offers you an unlimited number of licenses to be used within your facility. Please contact sales for more info.